pilot | Wait! What's A Dial? Tina Fay, Amy Poehler, Kristin Wiig, and Jason Sudeikis. These are just some of the many talented comedians who have become household names through Saturday Night Live. They have all left the show and become successful film and television stars. The newest actor to have his own series is Andy Samberg. Samberg is already a talented recording artist thanks to his comedic rap group phenomenon The Lonely Island. Now, he is going back to television. 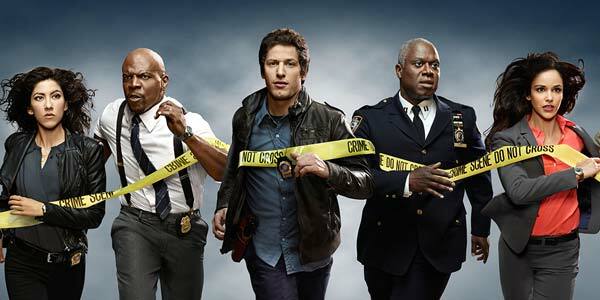 NBC’s latest foray into the crime-drama genre comes in the form of Ironside, a remake of a 1960s detective show. It follows Robert Ironside (Blair Underwood), a tough detective from New York City, who is confined to a wheelchair after an on the job shooting. Along with his team of hand picked detectives, he solves the toughest crimes in the city without letting his disability get in the way. Although television is no doubt over saturated with crime dramas and procedurals, ‘Ironside’ manages to infuse a bit of heart and intrigue into the all too familiar formula. In 1977, David Letterman was still a struggling standup comedian trying to break into television, which is the only way to explain why Letterman would ever take part in the mess of a pilot that is The Riddlers. 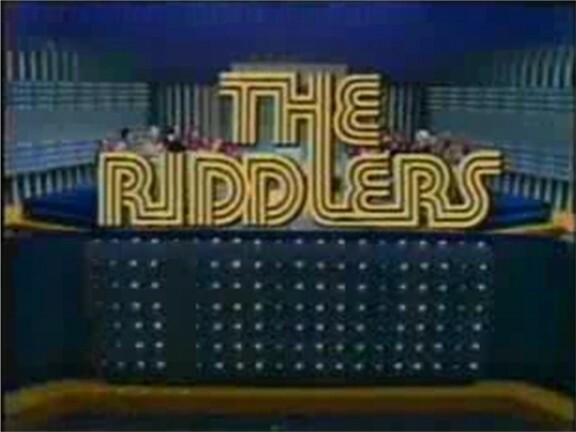 Unless you’re a fan of David Letterman, perpetual b-list game show guests from the 70s, or things that are so bad, they’re good, The Riddlers is not worth watching. The Riddlers‘s pilot has many things wrong with it. The most obvious are several format flaws. First, there’s the fact that Letterman is almost useless. The contestants are reading the riddles to other members of their team. The Riddler‘s doesn’t need a host and it doesn’t deserve on as good as Letterman. He exists solely to read the rules and repeat questions that have already been read. While it is necessary to repeat questions every now and then, no game show needs a dedicated echoer. As if a built in redundancy isn’t bad enough, the starting team is almost guaranteed to win. The problem isn’t that the object of the game is to answer 9 riddles correctly. It’s that the losing team from the previous game starts the new one and keeps control of the game until they get an incorrect answer. It’s entirely possible for a really good team to win the game without the other team ever answering a question. The only reason that doesn’t happen in the pilot is because Joyce Bulifant isn’t too bright, which she has also demonstrated multiple times on Match Game, so it’s not like she was having a bad day. What’s Alan Watching?, a pilot produced by Eddie Murphy, originally ran on CBS in 1989. The show, though, never got picked up past the first episode. Sort of hard to believe, as it was the perfect recipe for an 80’s or 90’s television show: the dweeby, in this case younger, sibling has to deal with his jerk older brother (David Packer) and ditzy, self-centered sister played by a pre-The Nanny Fran Drescher, whose lack of “MAAA” shouts was a little jarring for me. For Alan Hoffstetter, the dweeb in What’s Alan Watching?, played by Corin Nemec, the only way to do that is through televsion. Tags: alan hoffstetter, alex trebek, brent spiner, cbs, corin nemec, david packer, eddie murphy, fran drescher, george carlin, pauly shore, pilot, smothers brothers, television, what's alan watching? Adam West looking awesome, while eating a Popsicle. Lookwell is exactly what you would expect when Conan O’Brien, TV Funhouse‘s Robert Smigel, and Adam West team up to produce a sitcom, which is totally not a bad thing. While the show did not make it passed the pilot, NBC aired Lookwell‘s only episode in July 1991 and the show was reran on the cable network Trio, which is now defunct. It’s difficult to tell the direction that The Mindy Project is headed in after just one episode, but the show definitely has promise. The Mindy Project revolves around competent OB-GYN, Dr. Mindy Lahiri, who despite being a very accomplished doctor, has very little else figured out in her life. The episode begins with a voice-over detailing Mindy’s upbringing. She was basically raised on romantic comedies and describes Tom Hanks as her first boyfriend. The highlight of her college life was being able to watch as many romantic comedies as she wanted without supervision. It’s clear that she has a very distorted and unrealistic view of love. At first, it seems like this show is going to be nothing more than a deconstruction of clichéd romantic comedy plots which seems boring. Then, it is revealed that Mindy is in the middle of a interrogation for public intoxication. Apparently, she did not find this as relevant as detailing her relationship with a handsome oral surgeon that ended badly when he left her to marry someone else. The opening minutes of the show demonstrate well where Mindy’s priorities are, especially since her relationship with the oral surgeon was completely irrelevant and had no bearing on the plot. Ben and Kate is one of those shows that has been done in one form or another a million times. Kate is the responsible sister and single mother, who has settled down with her daughter to live as normal a life as possible. Ben is her annoying brother, who has never grown up and always arrives at Kate’s house unannounced with a problem. The dynamic is not original, but that does not mean the show has to be completely clichéd. The pilot episode seems to forget that even unoriginal concepts can be done in an original way. Anyone who has ever sat through more than one sitcom will be able to spot the obvious jokes before they come out of the characters’ mouths. The pilot of Ben and Kate starts with a prologue from Kate’s point of view. It basically says what the audience picks up in the first 5 minutes: Kate grew up too fast because she got pregnant at a young age, whereas her brother never grew up and always ruins anything remotely adult. There are times when Ben acts less mature than Kate’s 5-year-old daughter, Maddie. If you thought the worst show Bruce Jenner has been on was Keeping Up with the Kardashians, you would be wrong. In 1987, someone decided to make a spin-off of the Nickelodeon game show Double Dare with Bruce Jenner as the host because nothing says acting like an adult more than the Sundae Slide. Fortunately, the show never made it passed the pilot stage. Scott Baio and Heidi Bohay are the celebrity guests in the pilot. Part 2 is after the jump.